Why Do Gutters Fall Down In Snow Storms? - Fick Bros.
Why Do Gutters Fall Down In Snow Storms? …and how can you prevent it from happening again! The biggest contributor to gutter damage during winter snow storms is avalanching snow. 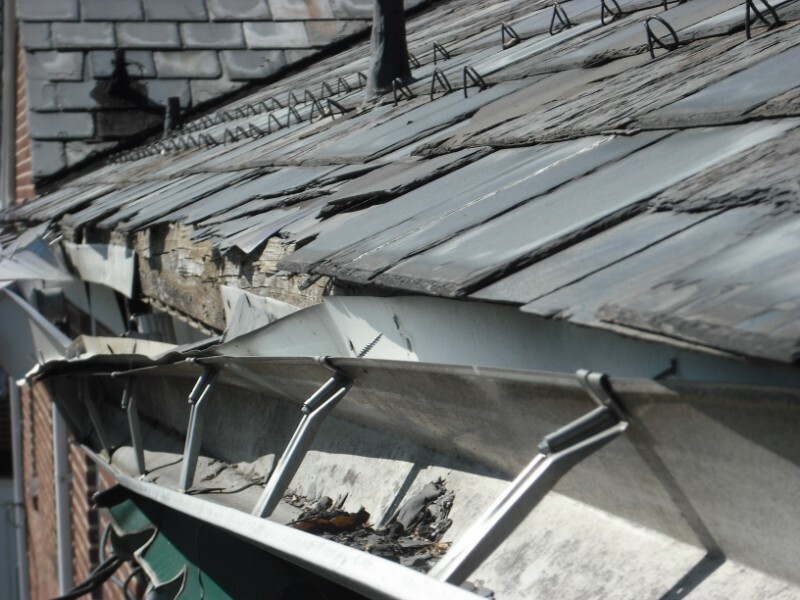 Even the best gutter system will not be able to withstand the tremendous force created by avalanching snow. So the trick is to prevent the avalanche! Most people think the ice dams are the biggest culprit; but you’re wrong. The #1 cause is an insufficient or worn out snow retention system (snow guards). Ice dams and poorly installed gutters add to the problem and we will discuss them later in another article. application, because these loops were made of galvanized steel, they easily rusted, making them very susceptible to bending and breaking. Galvanized steel snow loops were discontinued many years ago and are now obsolete; however snow loops are still available in copper. 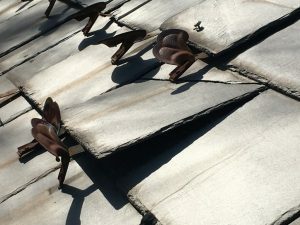 The answer is to install a snow retention system that is appropriate for your particular roof conditions. Snow guards are rooftop devices that allow snow and ice to drop off in small amounts or melt completely before falling to the ground. Snow guards prevent damage caused by avalanching snow and ice while enhancing the beauty of any roofing system. The purpose of a snow guard is to help reduce a slide, not stop it. Snow guards are best compared to speed bumps. Just as speed bumps do not stop you, only slow you down, snow guards do the same. The larger the parking lot, the more speed bumps you will encounter. The larger the roof, the more snow guards should be installed. It is important that snow guards are securely fastened to a structural member. Beware!!!! 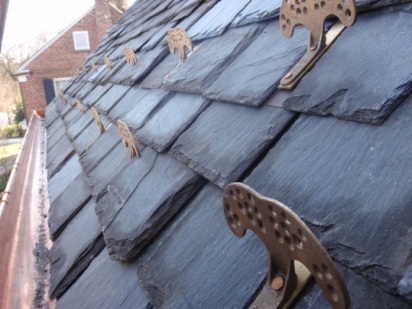 These cheap snow guards are designed to slip under the slates and hook onto the nail of the slate without removing the slate. 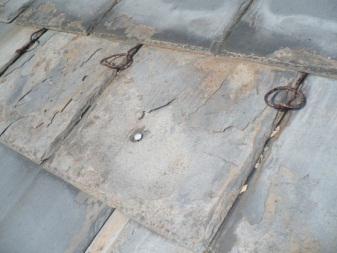 In order to be able to slide under the slates the shaft must be very thing. Because the shafts are so thin; they will bend in moderate snow loads of a few inches. When the shafts bend they break the slates causing tremendous damage.